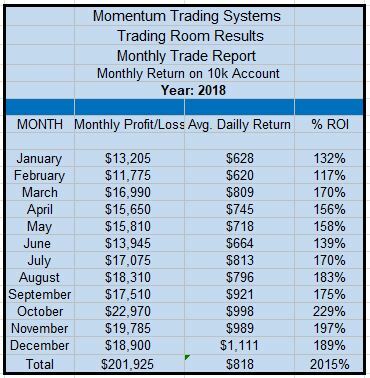 The table below represents the Trading Room Monthly Profit, Average Daily Return and the Return on Investment based on a $10k account. The individual trades are listed each morning in the Morning Report and in the Members section of this website. 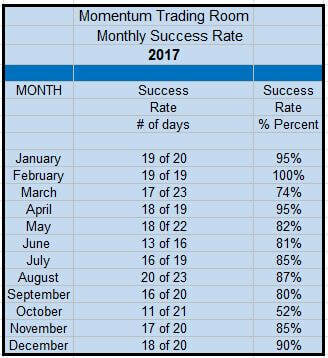 The tables represent our success rate in the ﻿﻿Trading Room﻿﻿ using the entry, exit, and stop loss information we provide each morning in our Morning Report. 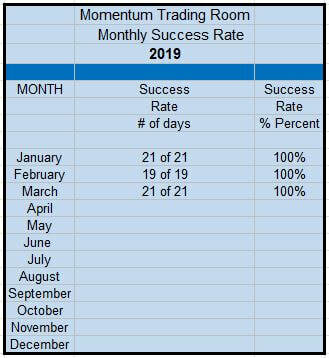 For example; for the month of January 2019 we successfully achieve our profit goal 21 out of 21 trading days in the Trading Room. This is a success rate of 100%. The goal in our Trading Room is to make $200 to $1000, trading no more than 5 times a day, with 2 to 3 contracts a trade. We make a full time income trading just a few hours a day. We give you our complete Trading Plan in the Daily Morning Report each morning before the opening bell with entry and exit points and invite you to trade along with us in our Live Trading Room where we discuss and set up trading opportunities. Everyone trades their own account and because no two traders are alike your results will vary. 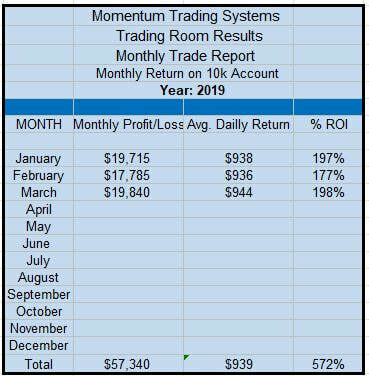 We do not state or imply that you can duplicate the results of our trading room moderators or any published results. However we are very consistent traders. 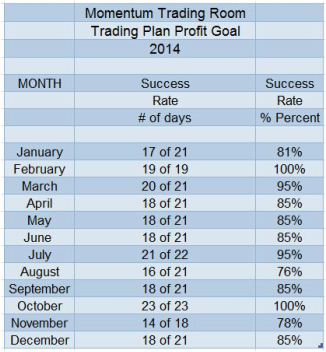 If you’re looking for a Trading Room with an easy to follow Trading Plan and Strategy then give us a try. 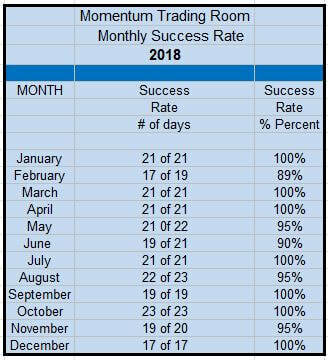 Our Service includes the Daily Morning Report, our Live Trading Room, Training and Education, and the Experience and Mentoring of our Professional Traders.